Running a business is a challenge for anyone, and what can make the challenge even more difficult for many entrepreneurs is maintaining accounting records. While you may know your business inside out, it’s often the case that when it comes to the figures most business owners would prefer to hand it over to a professional. Fail to keep your books up to date and your business could suffer more than you realise. Accurate bookkeeping lets you keep a close eye on the ‘health’ of your business. Do our customers pay us on time? Are your outgoings too high? Are your profit margins what they should be? Up to date records will tell you at a glance where monies may be haemorrhaging out of your business and affecting your cash flow. You will also be able to see if you’re paying too much for regular supplies or if your charges accurately reflect your outgoings. It is also vital for producing end of year accounts, tax and VAT computations. Get the numbers wrong and you could be looking at a hefty fine or other penalties. 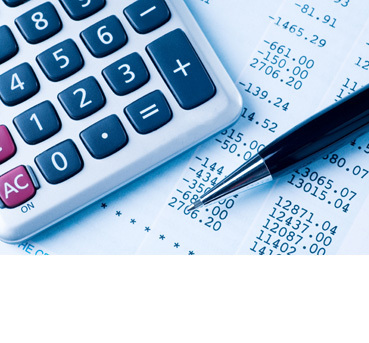 At Management Services, we understand the fundamental importance of accurate bookkeeping and accounts. With years of experience in looking after the finances of small and medium sized businesses, helping them to maximise end of year profits and avoid financial pitfalls. In an uncertain economic future, the information we provide can act as a predictive tool to help you plan your business’s future. We offer a full range of bookkeeping and accounting facilities, including management accounts, end of year statutory accounts and corporation tax computations. If you’re due a VAT inspection we can help prepare your financial records before the day and advise you on any issues that may arise. If late payment by your customers is a problem, we will regularly chase them for outstanding payments, so that your bank balance stays healthy. For more information on how we can help you get your books in order, simply contact us and talk to one of our experts.